The Foundation gives residents an opportunity to invest in their community through wills, trusts, life insurance and gifts. It benefits the giver, the gift is forever and every dollar is used to benefit Norton County. The Della Connell Scholarship Fund has been established to assist Norton graduates with continuing their higher education. Two scholarships will be made available to applicants; one to a student attending a college or university, the other to a vocational school attendee. The Bowman Family Scholarship Fund was established in 2016 for the benefit of graduating seniors of Norton Community High School; providing scholarships to help assist with their college education. The NCCF Operating Fund was created to support the Norton County Community Foundation thru funding for operations, administration and general grantmaking. The Norton County Endowment Fund was established to provide financial support for projects and needs for Norton County and the communities within; making accessible through a grant-making application process. The Norton County Health Department Fund was established to provide assistance for projects and needs of the Norton County Health Department. There are currently two anonymous donor-advised funds established by families within Norton County. With the establishment of these donor-advised family funds, their families can make charitable contributions to local, state or national non-profit organizations for projects they feel are important to them. To date, Norton County is one of 26 counties in northwest Kansas that has been awarded six rounds of $50,000 grants from the Dane G. Hansen Foundation, with ten of those county funds established through the Greater Northwest Kansas Community Foundation. This grant fund was established in March 2015 to allow qualifying 501(c)(3) nonprofit organizations; or educational, governmental or religious institutes per IRS, to apply for funding assistance for projects intended for Norton County benefit. Qualifying entities may apply online; grants are awarded through a competitive application process. For criteria and application information, click here; also found on the Grants and Scholarships tab. The Hansen Foundation has guaranteed additional rounds of funding to continue through 2021, providing continual county-wide participation in the Norton County Strategic Doing Initiative. Thank you for your generous donations during the month of November. Your donations to the Norton County Endowment Fund were matched $1 for $1 by the Dane G. Hansen Foundation! To donate anytime of the year, click HERE. Need to find a gift for someone who has everything? 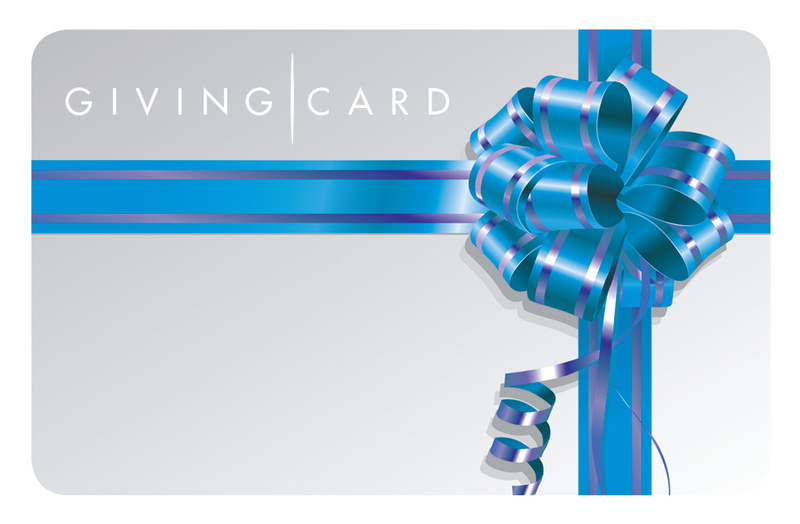 Give a Giving Card. Much like retail gift cards, Giving Cards are given to celebrate birthdays, holidays, a job well done, or other special occasions. Giving Cards can be redeemed to benefit any 501(c)(3) public charity in the United States (including schools, churches and synagogues). We have an opportunity in Norton County to turn our hopes for the future into reality! If we capture a portion of the transfer of wealth from one generation to the next – even just 5% – by setting up endowments through the Norton County Community Foundation, we could provide a permanent source of funding for our local organizations and causes that will greatly improve the lives of the residents of Norton County. To learn how you can Keep 5 in Norton County, visit www.keepfiveinkansas.com.